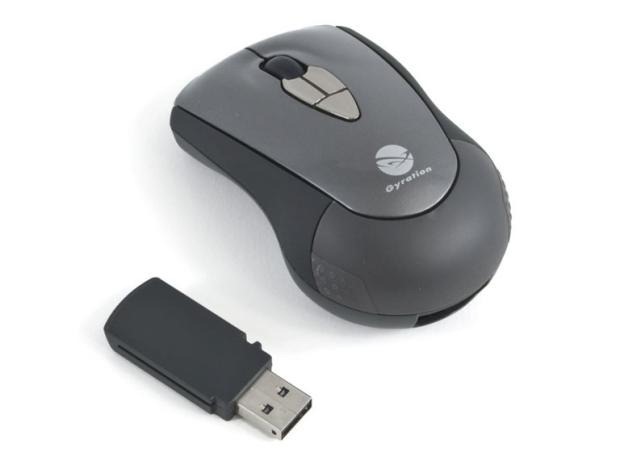 If you’re diligent about mail-in rebates, you can get this Gyration Air Mouse for $10. For the rest of us, it’s $30 through Woot.com today only. The Air Mouse, if you’re interested, is a standard wireless mouse with the added feature of being useable in mid air – like magic! Imagine the bewildered looks on your coworkers faces as you run your next team meeting. You’re sitting down, then you open a PowerPoint presentation and – GASP!!! – stand up from your chair and present like you’ve never presented before! You’ll be the talk of the break room for hours, maybe even days. The $20 mail-in rebate is good until the end of January. Godspeed.